November 24, 2015 – Blue Origin made history Monday night with the launch into space and safe recovery of an unpiloted New Shepard Crew Capsule and its Propulsion Module. 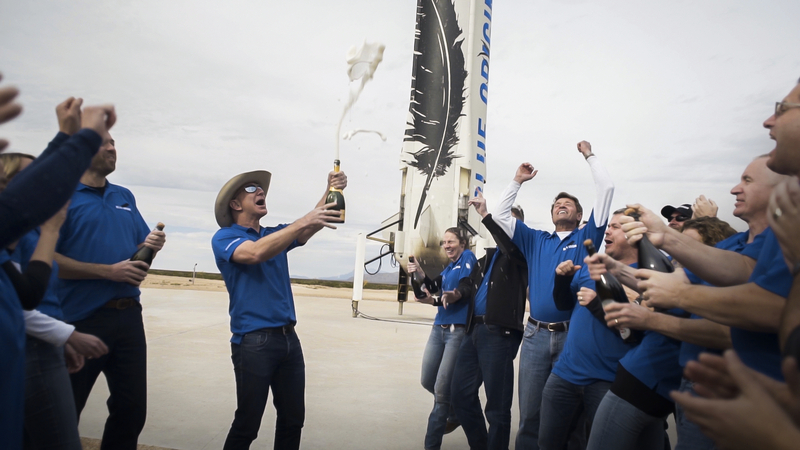 Flying from the company’s Van Horn launch site in West Texas, the Blue Origin capsule and propulsion module rocketed more than reached its planned test altitude of 329,839 feet (100.5 kilometers) before executing a historic landing back at the launch site. Named in honor of the first American in space, Alan Shepard, the New Shepard vertical takeoff and vertical landing vehicle will carry six astronauts to altitudes beyond 100 kilometers, the internationally-recognized boundary of space. Blue Origin astronauts will experience the thrill of launch atop a rocket, the freedom of weightlessness, and views through the largest windows to ever fly in space. Astronaut flights will begin following completion of a methodical flight test program. 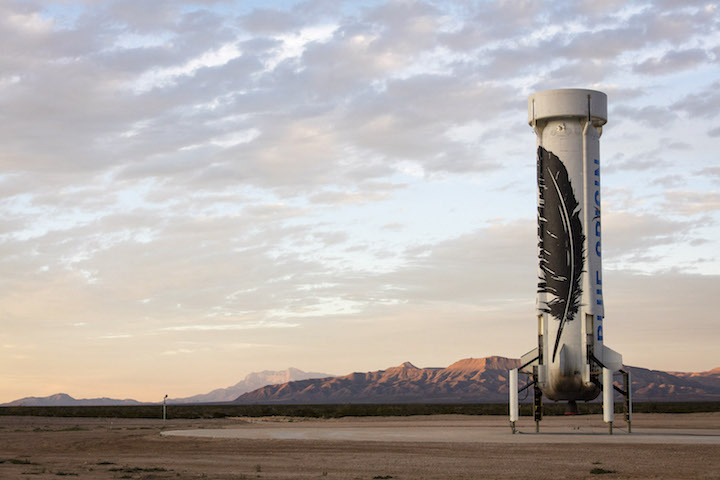 The New Shepard space vehicle is fully reusable and operated from Blue Origin’s West Texas launch site. The vehicle is comprised of two elements—a crew capsule in which the astronauts ride and a rocket booster powered by a single American-made BE-3 liquid hydrogen, liquid oxygen engine. At liftoff, the BE-3 delivers 110,000 pounds of thrust. During ascent, astronauts experience 3x the force of gravity as the spacecraft accelerates through the atmosphere. Following powered flight, the crew capsule separates from the booster and coasts into space, providing several minutes of weightlessness. As the crew capsule descends, it reenters the atmosphere with astronauts experiencing about 5x the force of gravity before deploying three main parachutes for landing. Meanwhile, the booster descends under guided flight to the landing pad. Just prior to landing, the booster re-ignites its BE-3 engine which slows the vehicle to 4.4 mph for a gentle, powered vertical landing, enabling vehicle reuse. To receive updates on Blue Origin’s continuing progress and early access to ticketing information, sign up at www.blueorigin.com/interested.